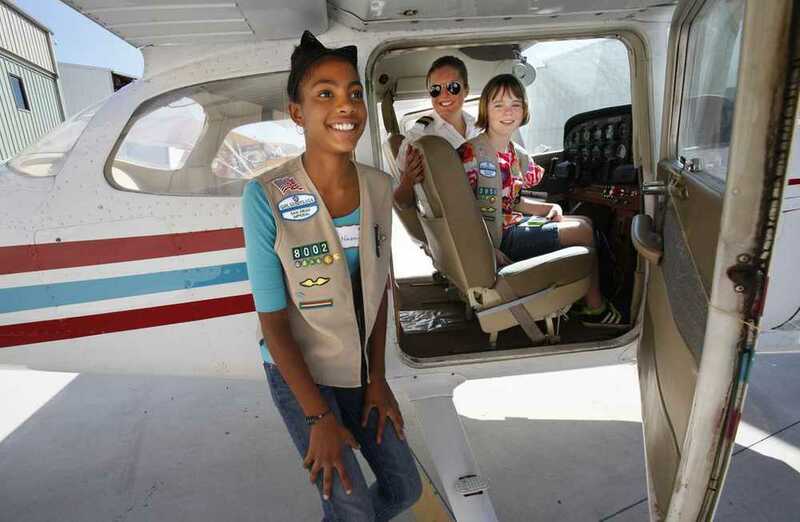 The San Diego Women in Aviation Chapter & The Commemorative Air Force Wing are hosting a Girl Scout Camp on Saturday October 19, 2013 from 9am-12pm at Gillespie Field Airport inside the Commemorative Air Force Hanger. 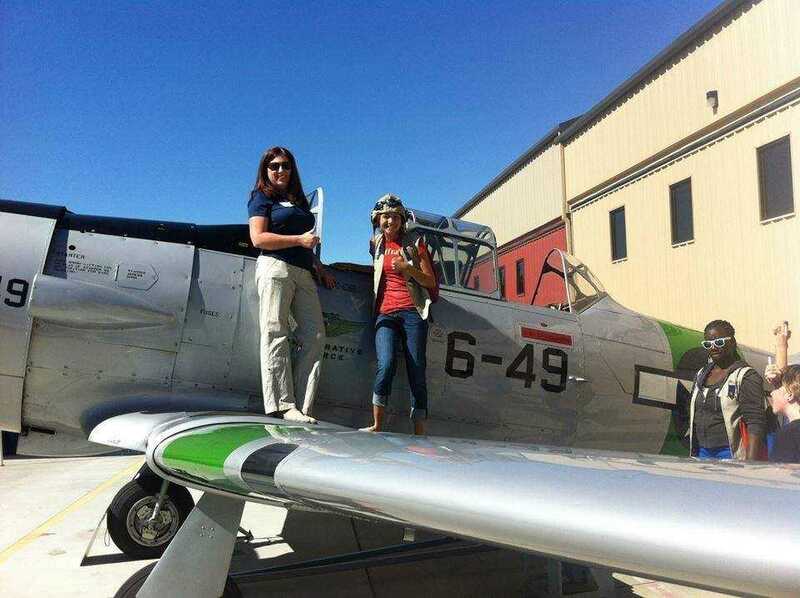 This camp will educate girls from 6th-12th grade about the opportunities in the Aviation & Aerospace Industry! The camp will be set up with roughly 5 stations. At each station, the Girl Scouts will learn about ALL of the careers of the industry. (Not only Pilots) . The Girl Scouts will interact with the volunteers by asking questions and gaining knowledge about the industry. (Many girls might not even know women fly planes!) The girls will mainly be interacting with the volunteers on a panel but there are opportunities such as trying on a flight suit, taking tours inside the aircraft, along with listening to the volunteers talk about how he or she was able to attain their career. "That was awesome John!!! Just think, on Saturday, not only was AG-1 hosting the Women in Aviation event, but about 200 yards away, AG-1 was also hosting an AFROTC ground school class being taught by Rick Worthen at GKN's facility! That's hitting the ball out of the park!!! 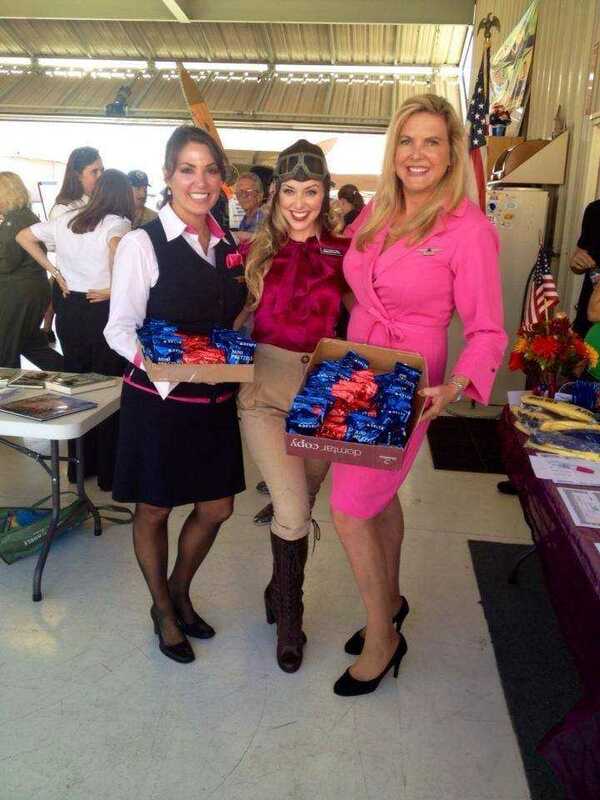 Tom"
Yes, Air Group One, though not mentioned by local media, did act as host for about 60 Girl Scouts of San Diego and 25 adult Women in Aviation International San Diego (WAISD). Each lady was a champion in her own way, from C-40 (Boeing 737) mechanic/flight crew to top aviation business owner. The Girl Scouts could not have had better-accomplished role models anywhere. Air Group One was very honored that WAISD chose to partner with them. It was a terrific team effort for the good of our youth and future leadership. Meanwhile, across the street GKN Aerospace, Chemtronics, Inc. partnered with AG-1 by providing classroom facilities for yet more aviation instruction. There, it was for young college students enrolled as U. S. Air Force ROTC cadets interested in aviation. Air Group One offers 11 Saturdays of ground school for potential pilots. Just 15, or so, students at a time, Air Group One instruction is making a difference in the lives of motivated young leaders. We at Air Group One see this as a very serious community mission. -R: Bob Simon AG-1, Linda Stull, Ed Davidson USAAF, Jay Gates (Co-pilot), Chuck Sweeney USN, Bob Cardenas USAF, Shelby Boelke (Loadmaster), Russ Gilmore (Pilot), Ray Calhoun, USMC, Kevin Bruen USCG. 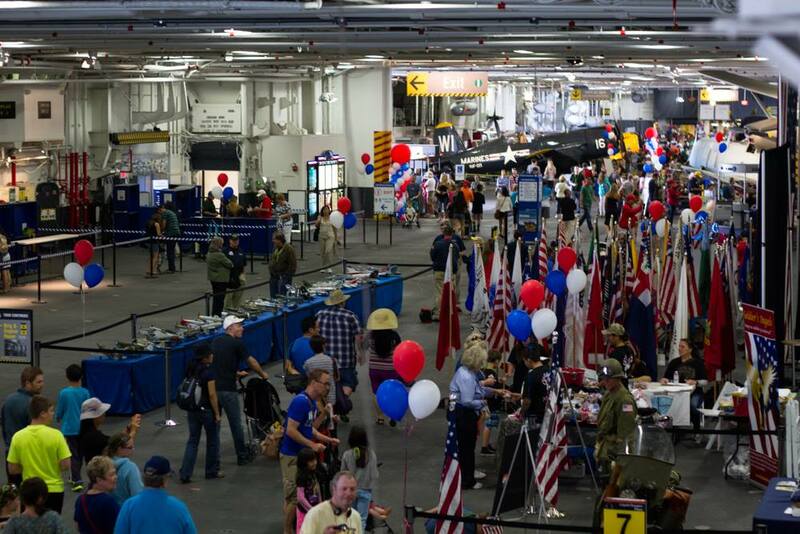 Air Group One sponsored this "Memorial Day Commemoration Flight.” San Diego citizens got to see the B-17, “Sentimental Journey” flying over San Diego’s National Cemeteries, the Midway, downtown and at the beaches mid-afternoon on Memorial Day. USAF Brigadier General Robert Cardenas, and other distinguished active and retired representatives including Air Group One Wing Leader Bob Simon, were aboard this historic, commemorative flight as a show of our appreciation and respect for those who have served, and continue to serve, our country. 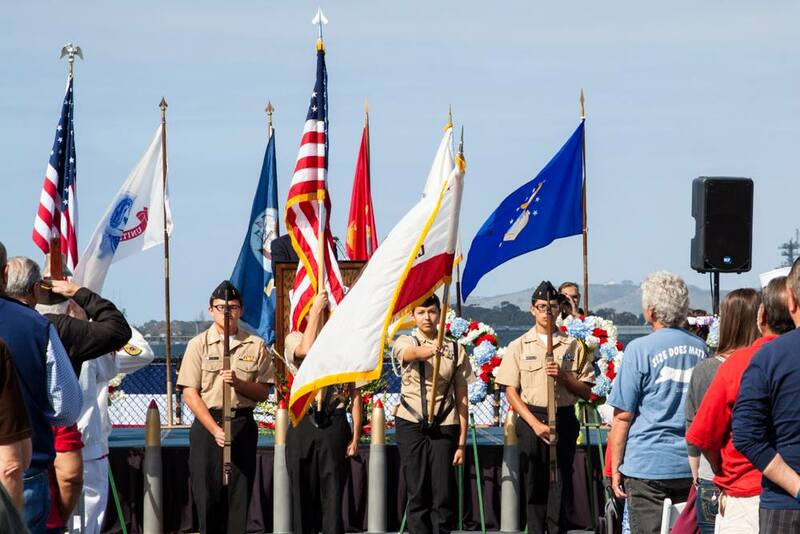 Air Group One of the Commemorative Air Force began it’s 44 month program of honoring the 70th Anniversary of World War II with fly over’s of the “AIR RAID – Pearl Harbor, Fort Rosecrans Goes to War” event December 3 & 4th at the Cabrillo National Monument, Point Loma, CA. 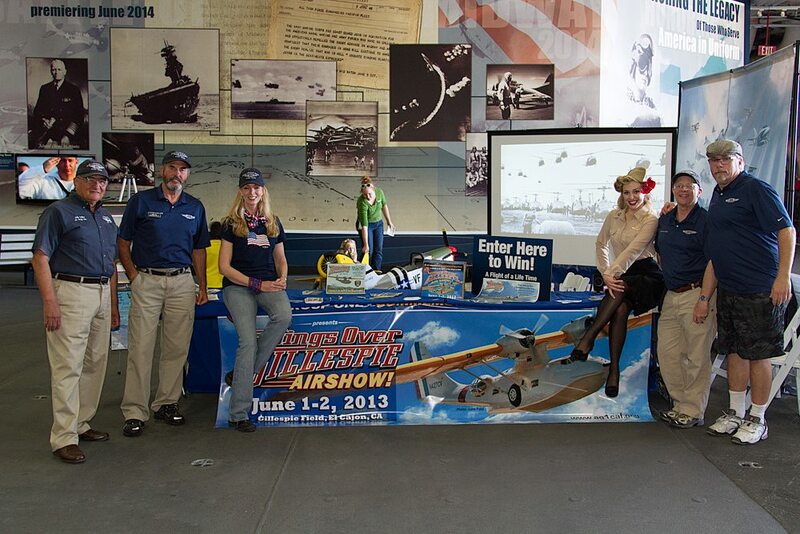 Air Group One participated with an information booth, historians and members plus providing our beautifully restored SNJ-5 “Sassy” flyovers to provide additional authenticity for this unique and timely San Diego event. It was a beautiful sunny weekend. Still, reverence and remembrance was in the cool air. It was almost December Seventh, the 70th anniversary of the Day of Infamy. As the poster here describes, there was warm-hearted effort to commemorate that fateful day, and honor all those who participated in the defensive posturing in California immediately following. 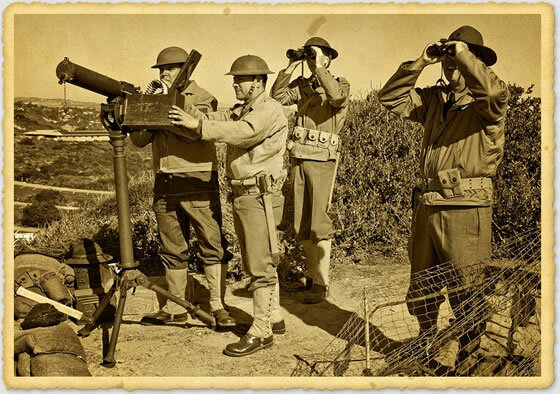 During the day’s activities, the faint alert of an approaching airplane caused the coastal defenders to spring into action. The unmistakable siren sent its chilling signal, machine guns swiveled, preparatory commands were shouted, many took cover just in case as the airplane came closer with increasing noisy alarm. Everyone waited… waited… “Be ready, be ready” the commander ordered. Finally an alert observer yelled, “Check fire! Check fire! 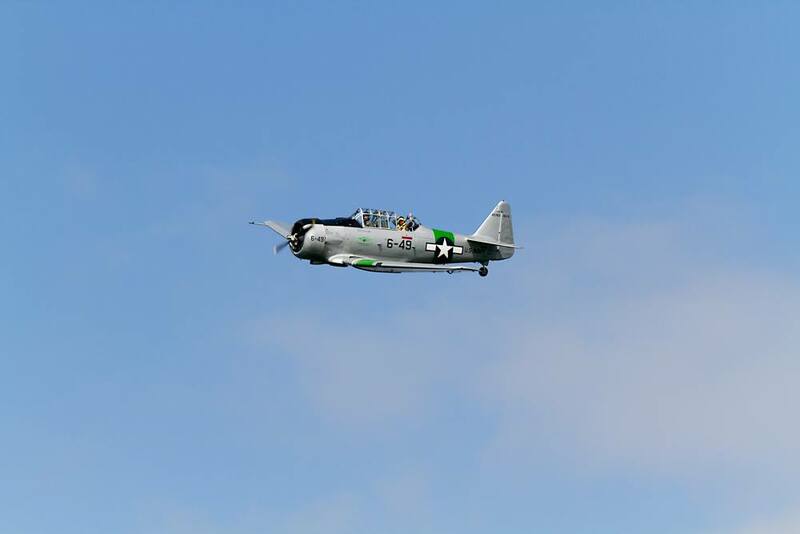 AT-6, AT-6…. Check fire! !” Hearts calmed down and all simply enjoyed a visit from a “friendly” aircraft. In this case it was Air Group One’s SNJ-5 “Sassy” providing the excitement and welcomed display of a historical WWII aircraft. 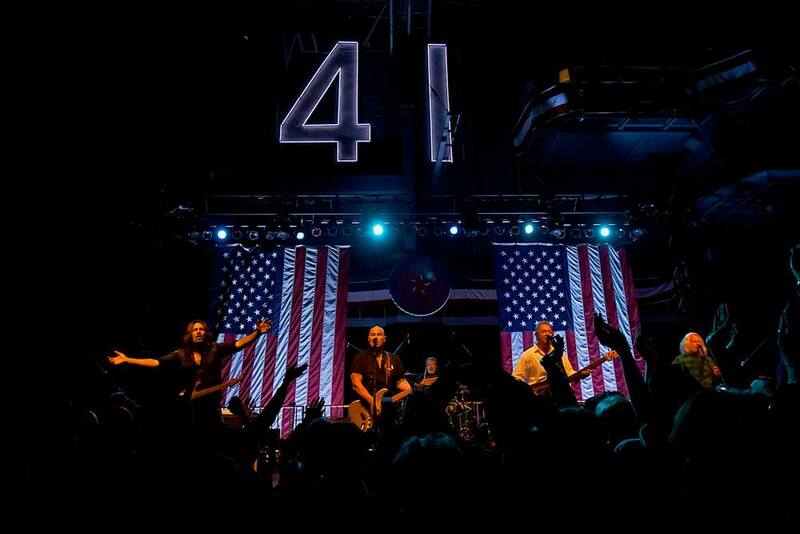 Two such “surprise appearances” took place on Saturday and Sunday. Many thanks to the flight crews: Jack Draper with Darrel Cook, Darrel with Natasha Stenbock, and Joe Graham with Bret Ebaugh. Other Air Group One folks in a support role at the event were Bob Simon, Howard Merritt, Warren Thomas, Rich Kenney (video & color photos), Linda Stull, Craig Covner, and Mark Carlson. San Diego State University is an AFROTC magnet school. For those students interested in pursuing an Air Force career, that goal can be achieved by completing a four year program offered through SDSU. 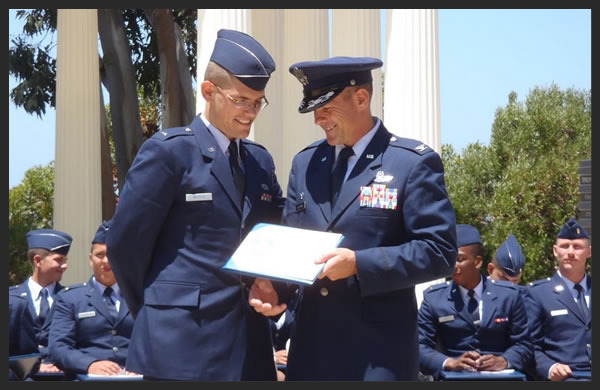 The AFROTC program is made available to students of 16 area colleges and universities. The current enrollment of students in the program is approximately 150. Applications have been flooding in and as a result, the bar for acceptance into the AFROTC program has continued to rise. Many future specialties and disciplines may be pursued by these future officers, but the most coveted position is to be selected as a “Pilot Select Candidate.” Upon graduation from SDSU and the awarding of their Air Force Commission, these now newly minted 2/Lts will be slotted to attend fixed-wing pilot training or enter the Remotely Piloted Aircraft (RPA) track. To be selected for either track infers that you have been thoroughly screened, prodded, and tested. Unlike those of us whom entered military flight training in the 60’s and early 70’s (some joke that ‘if you could fog a mirror and read an eye chart you were hired! ), it is a major accomplishment for today’s cadets to have survived the selection process and to be awarded a pilot or RPA slot. Upon graduation, the first major hurdle the cadets must clear is “IFS”, the USAF Initial Flight Screening Program. IFS is conducted through a civilian contractor, Doss Aviation, out of Pueblo, CO. The training aircraft utilized is the Diamond 20 (DA-20), a two seat, low wing, all composite aircraft. IFS will be the cadet’s first introduction into formalized military flight training. By design, IFS is challenging and is programmed to take the student just beyond solo. This is where the rubber meets the road. The program is highly time compressed. Early in their senior year the students receive a study link to the program. The underlying message is that ‘you best learn this stuff before you get here, cuz you might not have the time otherwise…fight’s on!’ You either pass the program or wave your Air Force flight career goodbye. Col Wojtysiak stated that, in previous years, as many as 30% would fail! In October of 2010, Woj approached Air Group One to discuss the potential causes of the high failure rate. He told us that most cadets entered IFS with little or no flight experience. Although IFS recommends that students acquire some flight training prior to arrival, the fact is, most of these students typically do not have the financial resources to allocate towards such training.SDSU is an AFROTC magnet school. For those students interested in pursuing an Air Force career, that goal can be achieved by completing a four year program offered through SDSU. The AFROTC program is made available to students of 16 area colleges and universities. In October of 2010, Woj approached Air Group One to discuss the potential causes of the high failure rate. He told us that most cadets entered IFS with little or no flight experience. Although IFS recommends that students acquire some flight training prior to arrival, the fact is, most of these students typically do not have the financial resources to allocate towards such training. For example, the recently graduated Class of 2011 had five pilot select candidates. One cadet had previously soloed, the remaining four had “zero” flight time. 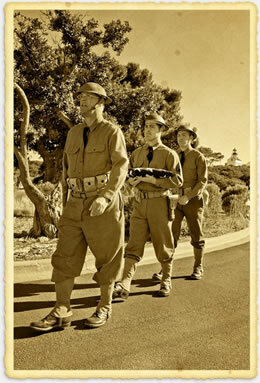 Col Wojtysiak wanted to do better for his San Diego cadets. This is where Air Group One stepped in. We proposed to the Colonel that we seek a volunteer group of San Diego area based pilots and explore the possibility of assembling a training package at little to no cost to the cadets. Naturally, he was very much on board with this idea. At the November 2010 AG-1 staff meeting, our program was reviewed and the staff agreed to support our efforts. The program was designed to be a community outreach of local area pilots willing to share their time, equipment, and expertise, with the upcoming generation of aviators. The support of Air Group One was overwhelming. Seven out of eleven of our primary instructor slots are quickly filled by Air Group One members. These bullet points were incorporated into the core of our program. After an Air Group One sponsored kick-off to the flight program last January, where all five candidates received introductory incentive flights, the cadets and volunteers got to work. Seven months later, we are in the process of completing training with the recently commissioned class of 2011. We will continue to work with them up until their IFS report dates next February. On deck is the Cadet Class of 2012, with four more Pilot Selects and one Alternate, who will start training with us later this year. With the upcoming Class 2012, Air Group One’s program will expand from 10 to 15 training sorties. The sorties are broken down into 9 Primary Training sorties, 3 Advanced Training sorties, 1 Aerobatic sortie, and 2 Landing Proficiency sorties. 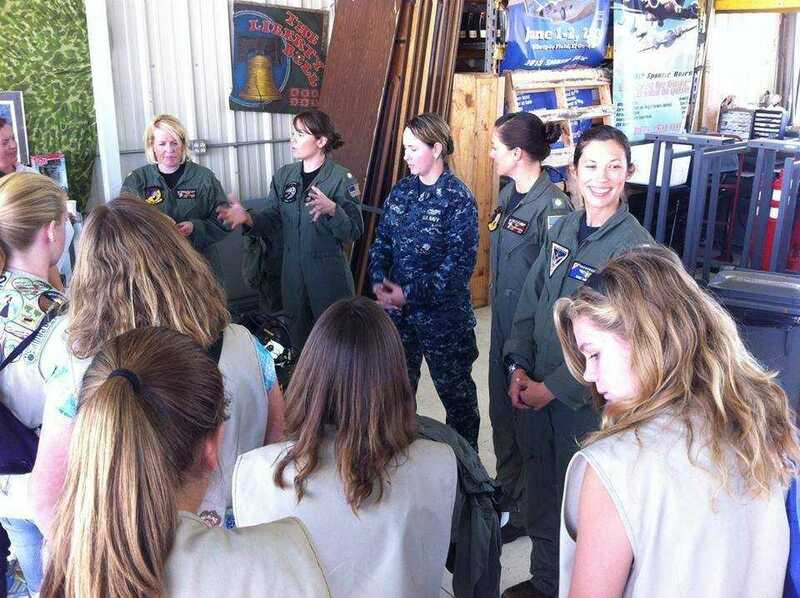 For the 2011-2012 season, we now have 15 San Diego area based pilots volunteering their expertise to the program. In addition, new for this year, we have a group of volunteer pilots that will be working with the cadet underclassmen receiving incentive rides. The purpose of the incentive flight is motivational (hamburger flight, sightseeing, etc.) and non-instructional in nature. These cadets are in the competitive process towards earning a pilot slot. They will not know the results of the selection until nearing the end of their junior year. As previously mentioned, the community outreach has been amazing. In addition to the commitment made by the volunteer pilots, a private pilot ground school and classroom facilities were donated for free, and ground school text books were sold at cost. The synergy of the program has been mutually rewarding. In turn, the cadets have more than shown their appreciation. 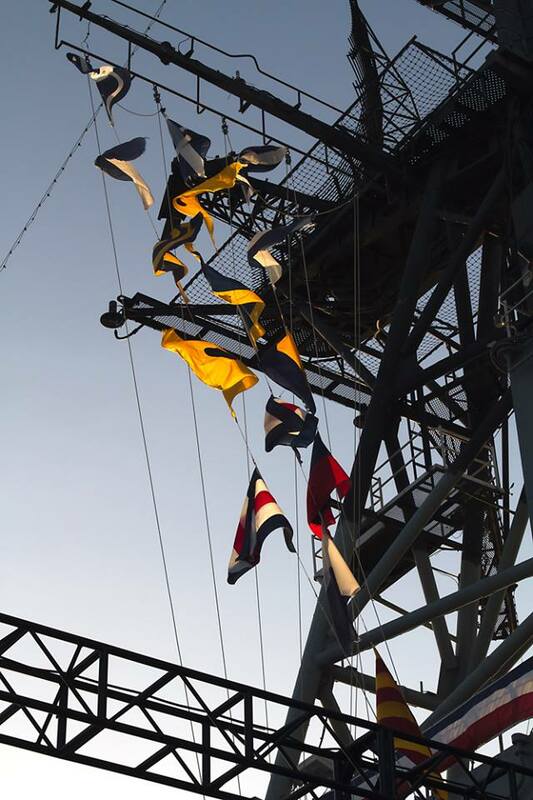 They are involved in our L-5 restoration project, participated as our representatives in the 4 th of July Downtown DFC parade, assisted during our annual Air Group One air show, and have participated in several of our hangar events. This is an example of community outreach at its best, the joint give and take, the mutual support, and benefit enjoyed by all.